← Registering the Boat- Today is D Day !! 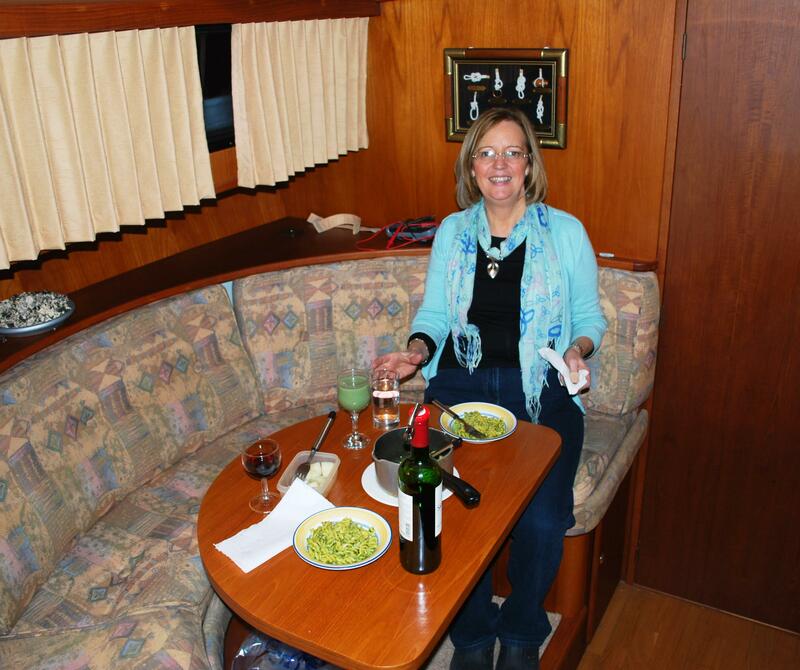 While ‘C’est La Vie’ is overall in great condition, we have had to make a number of improvements so that the boat will be comfortable for full time living aboard. This has raised many issues for us and with a tight budget we have had to make lots of compromises and careful choices as to where to spend our money. 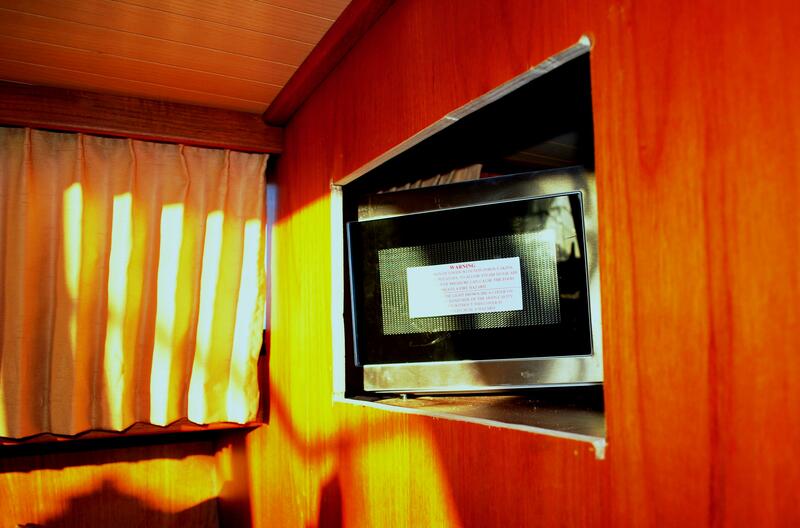 One of the big decisions we had to make was whether we would fit a washing machine or a microwave on the boat. The washing machine would have saved us time searching for launderettes as we went along. Whereas, on the other hand, if we fitted a microwave it would make cooking simpler and faster. The choice was an appliance we could use every day versus one we will only need once a week. So the microwave won! The next problem was trying to find a place to put it. Space on a boat if very tight. With the microwave we also had the added issues of safety and power supply. There was no room in the kitchen area except over the cooker and than would not have been safe. So it had to be somewhere that was convenient to the kitchen area. 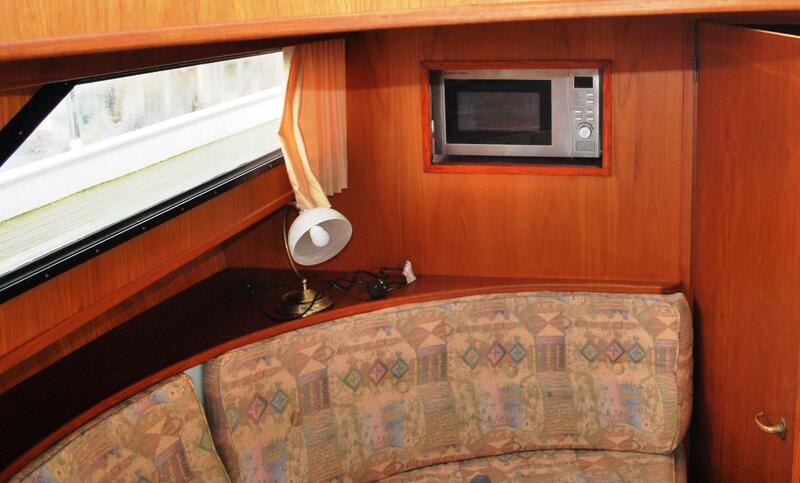 Eventually after a lot of measuring and debating the only place we could find to put it was sitting on the top of the wardrobe in front cabin area with front of the microwave out through the bulk head in the dinette area. So with great trepidation I proceeded to cut out a square hole ( I am not know for my carpentry skills). Once I had made the hole there was no going back!! So off went the display of the knots on the wall and in went the microwave! Thankfully it all worked out well. I surprised myself even more than Nuala with quality of my carpentry. This entry was posted in Getting Ready for Gap Year and tagged micorwave. Bookmark the permalink. 2 Responses to Microwave or Washing Machine?